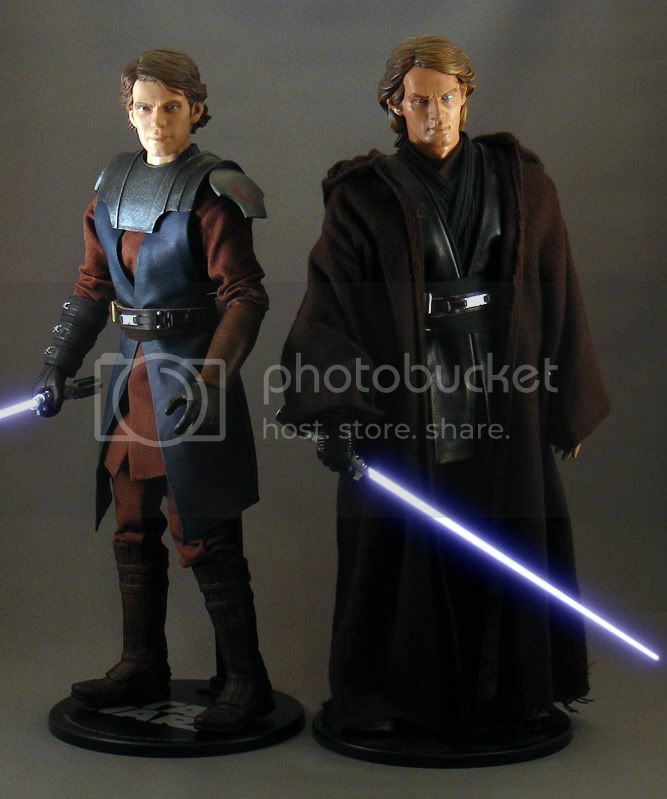 I was unsure on this one too, but realized the custom potential to make a better ROTS Anakin. So, my card is to be charged today! Hopefully he will ship by the end of the week. Thanks for the review. 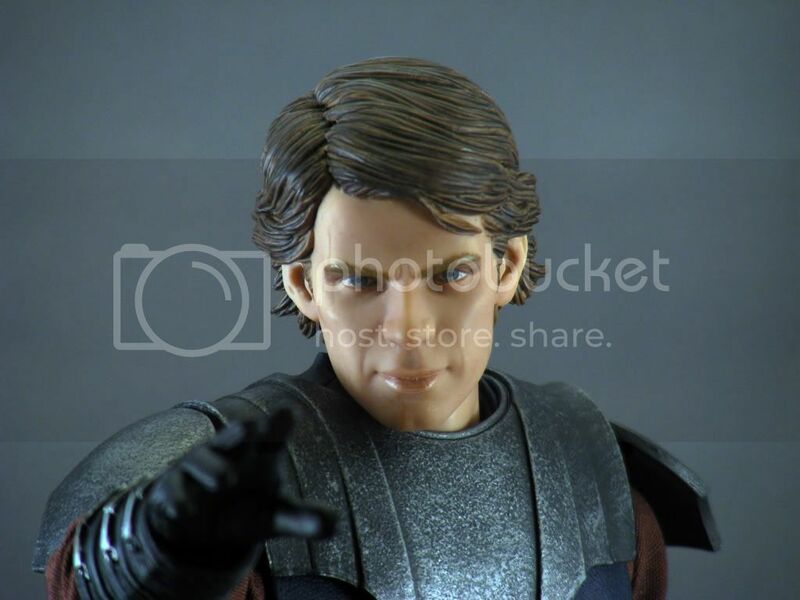 Personally, I think this version of Anakin is really bad. 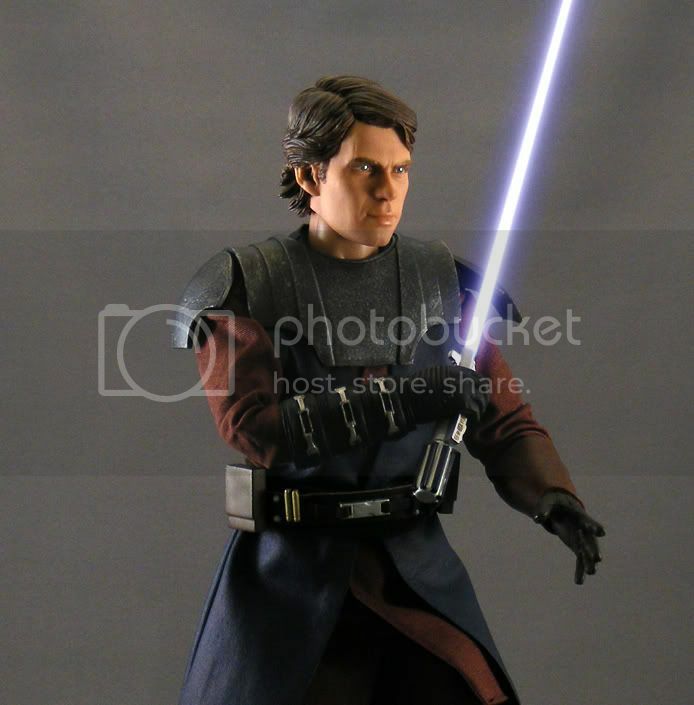 A lot is lost in trying to bring this figure from the animated design to the realistic line. He's far too bulky and that head sculpt is just blech, at certain angles, he looks to be 20-30 lbs overweight. I'm really glad I didn't pick this up and I hope that if they do continue to create CW figures, they stay true to the source material and give us authentically styled products based on the 3D renders. 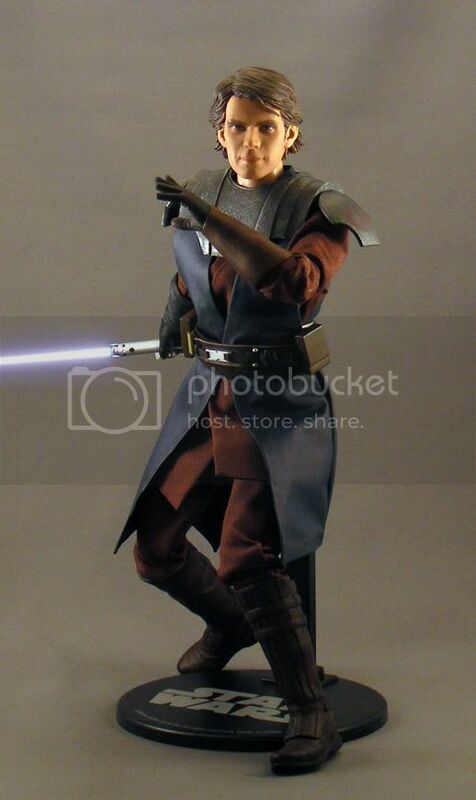 I don't know, they did a great job with general Obi-Wan and Asajj Ventress, but this one did miss the mark. And i do think a lot has to do with the way it's not painted, as Trevor's headsculpt pictures look a lot better than what came out. I don't think I'm going to waste my time repainting the head, I just started sculpting a new one based on ROTS to fit the new bodies. I actually like this guy. The only thing that I would have liked to have seen is more detail in the costume. The chest shoulder plate thing should be separate pieces that can fan out for movement. Overall I thought it seemed to simple. 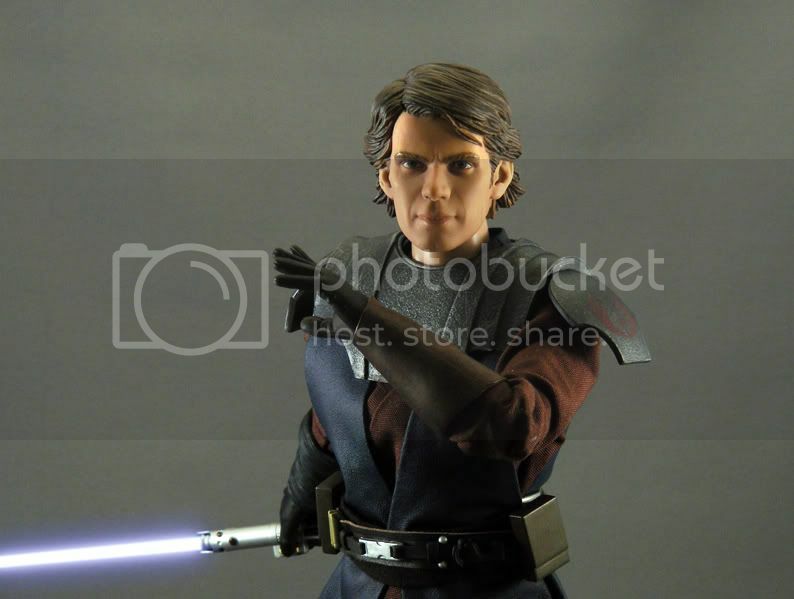 Also I can not remember for sure but I want to say Sideshow has stated they will not do these figures true to the animated style. They will only be realistic. 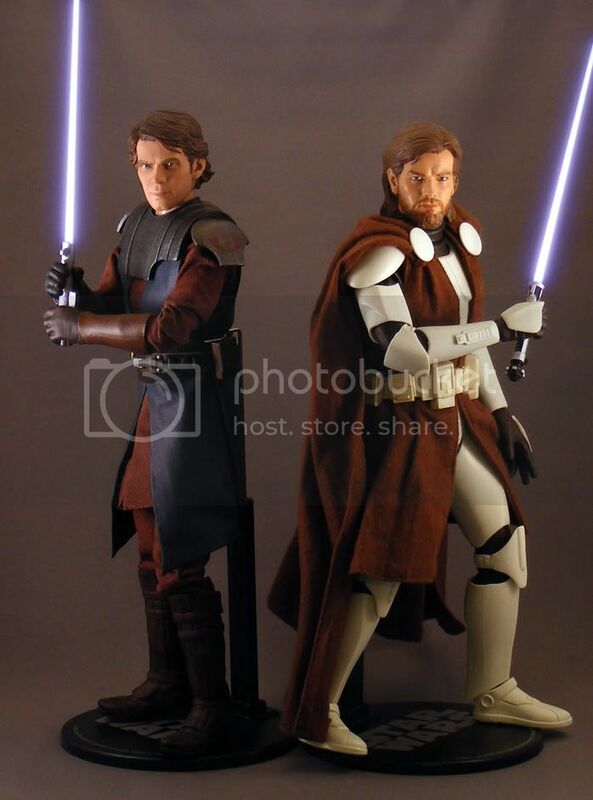 I actually like this since Hasbro will not do realistic versions of Clone Wars.